Is there any way to instruct IDEA to attach the sources for libraries that are defined in the Grails BuildConfig.groovy? The libraries themselves get put into a "library package" called "Grails User Libraries (projectname)" but they only have the class jars. It would be very helpful if they had the source jars as well. IDEA can search sources for any libraries that exists in maven repository. 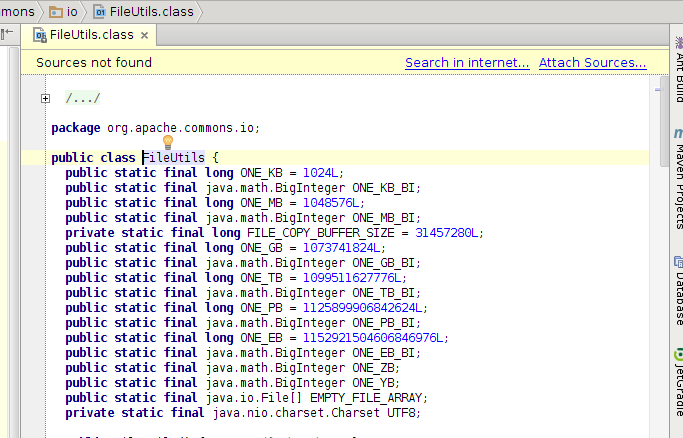 When you open compiled class IDEA suggest to search sources in the internet. See attached screenshot.